A reminder that we open the doors to the solo exhibition for Ceri Allen this Saturday, 13th April at 10am. There will be a reception from 12-2pm where you can meet and chat with Ceri, with the gallery open until 5pm as usual. The full exhibition listing may be seen HERE. Ceri is one of Cumbria’s most inventive contemporary artists, many of you within the county may know her from her exhibitions of works at the Lakes Artists Society each year. 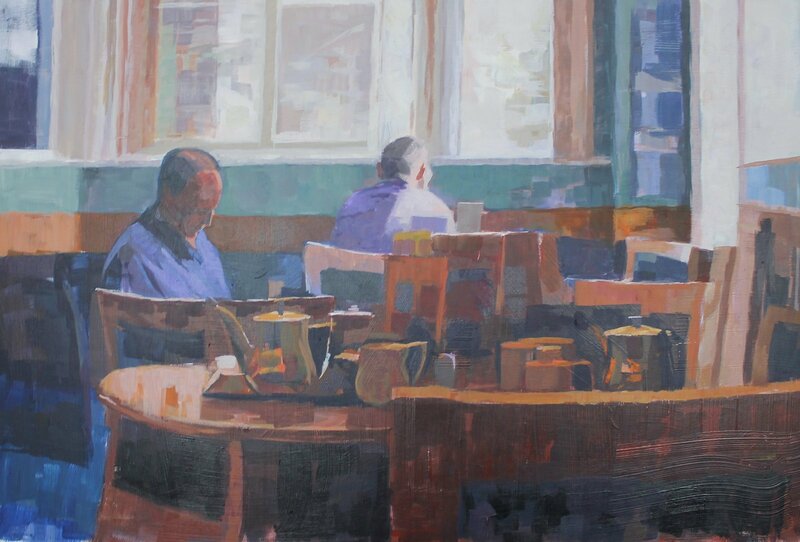 A graduate of the prestigious City and Guilds School of art in London, Ceri was tutored by Carel Weight (RA) and Peter Coker (RA) and has had many prestigious residences both within the UK and abroad. As usual, all works may be acquired with the aid of the Arts Council Own Art scheme. The gallery will be closed this Friday, 12th April, to allow the hanging of Ceri’s works. The exhibition will run until May 4th. Hope to see welcome many of you to the gallery on Saturday, or if not, during the exhibition.